They have been playing since 2012, developing their sound and finally recorded their first full-length album in a 100% analog way at Magnetic Fidelity (a studio in rural northern Greece) with Jesus Agnew, an engineer experienced in the field of analog and DIY recordings. Only analog equipment was used in the recording-mixing-mastering stages of the album. All the songs in the record were performed entirely live during just one day. In 2016 they released their second full length album "II" as well as an EP, once more fully analog and live. At the beginning of 2018, the band have released 'III', another journey into an unknown land. Half Gramme of Soma is a rock band formed in early 2011, based in Athens, Greece. Blending heavy rock sound with a wide range of influences, HGoS were introduced to the greek music scenery by their strong live appearances. In early 2013 they put out their s/t debut album, which was followed by member changes and many lives. 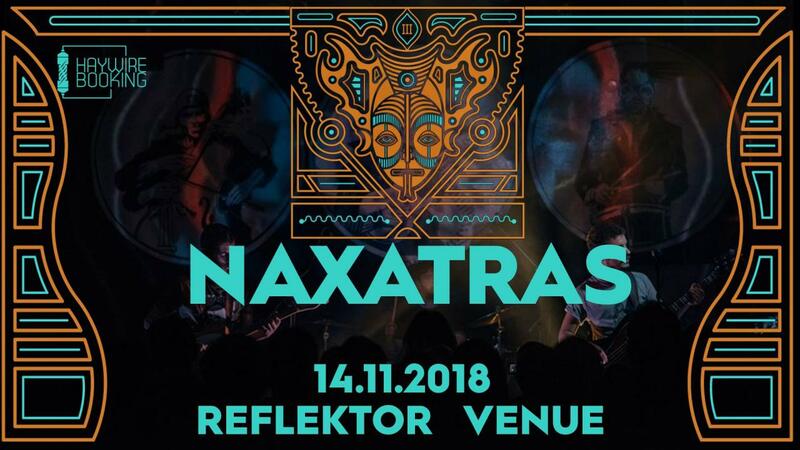 Inca nu a fost adaugat continut media la evenimentul: Concert Naxatras [GRE] / Half Gramme of Soma [GRE] .